Interested in your journal being seen as a pioneer for new research? Check out our new First Look program to share your newest latest research with a wider audience faster than ever before. First Look is a place where journals and other research experts identify content of interest prior to publication. It can include a wide range of early stage content types including working papers, proceedings, preprints, accepted papers, and papers under consideration. First Look is a partnership between SSRN and some of the world’s most influential journals to provide rapid, early and open access to evolving scholarly research. Based on your logo & design, we will create a customized web page within the SSRN system to aggregate your content and provide links back to your site. This page will be accessible from the SSRN Browse by Journal list and the First Look page. Each of your papers will have your Journal’s branding on the abstract page. That branding will be visible on the abstract page within your own First Look page and also when the paper is included and promoted in SSRN’s other journals. Each submitted paper will be included in up to 12 of SSRN’s 1000+ subject matter journals across multiple networks in addition to your own branded journal. Distribution of the paper can exceed 5,000-10,000 recipients, increasing exposure for the journal and its research significantly. Meet the growing demand for sharing preprints and providing freely available copies of content. Are you looking for ways to meet the growing demand for Open Access? Starting a First Look might be just the way for you to respond to this demand. We will create an email alert with newly loaded paper abstracts specifically for the First Look content of your journal and deliver it for free to a subscriber list you provide us, as well as to anyone that subscribes through SSRN. We will provide links to your website in a pop up window connected to your First Look page. 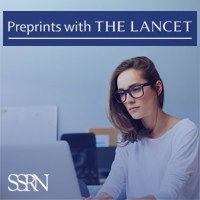 This new preprint series for sharing non-peer-reviewed, early stage health and medical research is part of a six-month collaboration pilot between SSRN and The Lancet family of journals. Authors of all research papers submitted to any The Lancet family journal have been asked at submission whether they would like their paper to be posted as a preprint, an opt-in that all co-authors must agree to. Papers will be subject to SSRN’s usual checks, as well as an additional The Lancet specific check. Authors can also submit their papers directly through SSRN. For more information please visit The Lancet. Sneak Peek, now hosted on SSRN, is an author opt-in preview of the papers under review in Cell Press primary research journals. Cell Press is a leading publisher of scientific research and reviews in life, physical, and earth sciences. With a commitment to improving scientific communication, Cell Press combines the highest-quality science with innovations in technology and publishing practices. 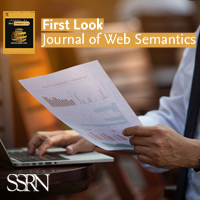 The Journal of Web Semantics is an interdisciplinary journal based on research and applications of various subject areas that contribute to the development of a knowledge-intensive and intelligent service Web. These areas include: knowledge technologies, ontology, agents, databases and the semantic grid, obviously disciplines like information retrieval, language technology, human-computer interaction and knowledge discovery are of major relevance as well. All aspects of the Semantic Web development are covered. The publication of large-scale experiments and their analysis is also encouraged to clearly illustrate scenarios and methods that introduce semantics into existing Web interfaces, contents and services. The journal emphasizes the publication of papers that combine theories, methods and experiments from different subject areas in order to deliver innovative semantic methods and applications. Australian Journal of Asian Law is the leading peer-edited journal of analysis, commentary and primary material on the laws, legal systems and legal cultures of Asia. It is an initiative of the University of Melbourne Law School, with support and advice from Australian and international colleagues. The journal provides a common forum for ideas and informed debate on current legal issues from a wide range of expert legal scholars and practitioners whose work focuses on Asia. AJAL welcomes contributions from scholars and professionals worldwide. We publish multi-disciplinary, historical and contemporary research and fieldwork in English, including first English translations. Articles may be framed as practical or theoretical contributions to the field. 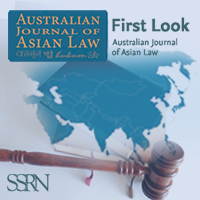 The Australian Journal of Asian Law's First Look is a place where researchers and other experts can identify content of interest prior to publication. 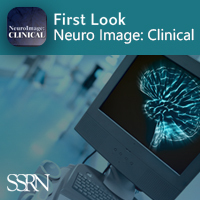 Neuro Image: Clinical considers articles covering diseases, disorders and syndromes involving the Nervous System and provides a vehicle for communicating important advances in the study of abnormal structure-function relationships of the human nervous system based on imaging. As part of our ongoing commitment to rapid publication we are delighted to be involved in SSRN’s First Look. This is an author opt-in preview of the papers currently under consideration in the journal. These papers are posted here prior to peer review and their status will be updated once this has been completed. 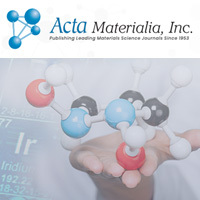 Acta Materialia, Inc. First Look is a preview of papers that are undergoing peer review in an Acta Materialia, Inc. journal – Acta Materialia, Acta Biomaterialia, Scripta Materialia or Materialia. The aim behind the Acta Materialia, Inc. First Look page is to provide a venue for Acta Materialia, Inc. journals’ authors to host preprints of their work, allow authors to showcase their research results prior to review and publication, thus aiming to speed up the dissemination process, provide readers with an insight into groundbreaking work before it has been published as well as allow them to post comments on the work.